• Tactical Intelligence. Enemy combatants are now tactically aware and much more unpredictable as they respond differently depending on the situation. So if you ever are discovered, expect everything from flanking movements to frontal assaults as the enemy tries to engage you in close quarters where your rifle is less effective. • Enemy Behavior. In-game enemies vary their level of aggressiveness depending on the size of their unit. Pairs of sentries are more cautious then a platoon-size unit whose aggressiveness is much greater. Word to the wise: recon the area carefully before engaging. • Cover & Concealment Enemies now seek the nearest cover as they fire and maneuver against your position. 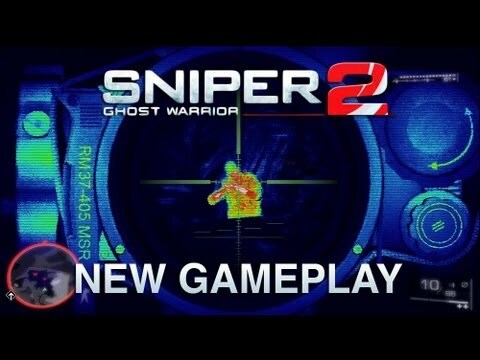 Sniper: Ghost Warrior 2 only features sniper missions, and we have included every variable and technique needed to be a successful sniper. It is the closest you can get to the real thing without joining the armed forces. The new comprehensive system of sniping mechanics reflects all the critical factors that go into being a successful hunter of gunmen (HOG). 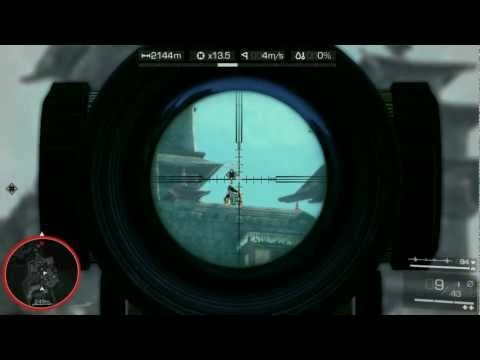 • Real-World Ballistics: many factors impact the effectiveness of the sniper, and Sniper: Ghost Warrior 2 has included every single one, from wind direction to bullet-drop. • Human Factors: as in real-life, it is critical for players to control their breathing; slow their heart rate and assume the proper skeletal position to successfully put lead on target. • Spotter: the spotter is the Sniper’s most critical companion on the battlefield and a high level of coordination is key for completing the missions. In addition to the spotter calling out specific threats and suggested shot sequences, new joint missions require synchronized, simultaneous shots between the sniper and the spotter. To diversify gameplay and make it accessible to the widest group of gamers, CI Games is introducing three difficulty levels that totally change the nature of the game. • Casual: introduce yourself to sniping in a more controlled way as you learn how the game works while still having fun. The enemies will give you more time to react in certain combat situations. You will also receive an array of tactical and mechanical hints. A red-dot on your target will help you indicate the point of bullet impact, while stealth and teamwork with your spotter will benefit your experience. 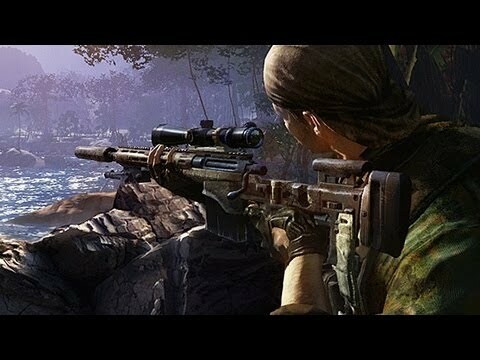 • Medium: this level gives you well-balanced gameplay that delivers a more intense sniper experience. Enemies will react quicker and more aggressively, so careful planning will be required. All of the in-game hints and features from Casual mode will still be at your disposal. Stealth and teamwork with your spotter are paramount. 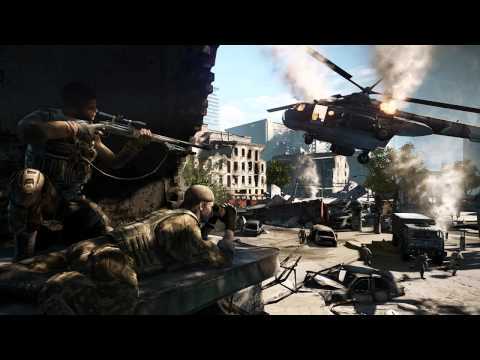 • Expert: this mode is designed for battle-hardened snipers. You will receive a minimum number of hints while on your mission. Enemy AI will test your resolve, tactics and reflexes at every step. You must assess wind and distance on every shot, and control both your breathing and heart-rate. This is where every single shot counts and where one mistake could cost you the mission. 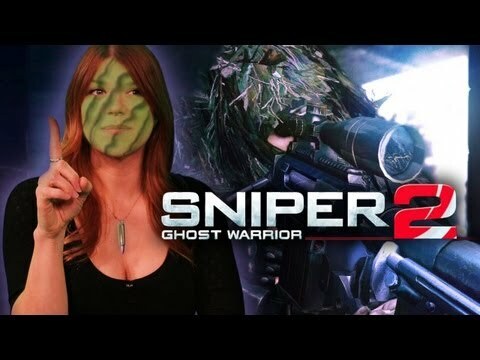 Expanded List of Sniper Rifles: Sniper: Ghost Warrior 2 features the world’s most advanced sniper rifles, each of them meticulously recreated so that they accurately simulate the modern weaponry found on today’s battlefield. Bullet Penetration: backed by the high-octane stopping power of the modern sniper round which can penetrate a variety of materials, you can now eliminate enemy combatants as they hide behind cover. Taking out multiple targets with a single round is possible and wait until you see it on the game’s Bullet Cam. 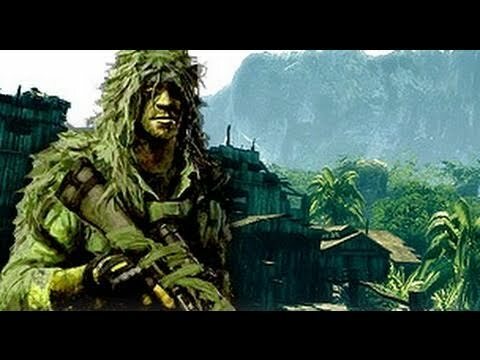 New Areas of Operation: in addition to the deadly jungles, we are introducing new urban and mountainous regions, which require new stalking and ambushing techniques. New Gear: own the night with the introduction of thermal and night vision optics, plus a pair of powerful binoculars critical for locating the enemy before he spots you. 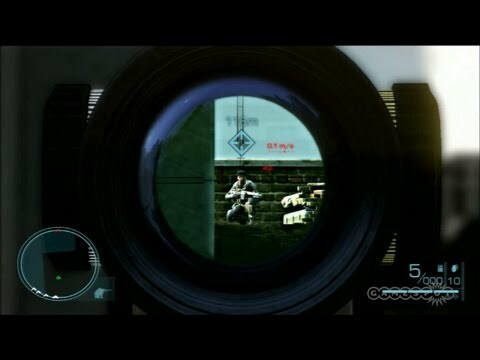 The urban-based mission I was shown had the player marking targets with binoculars, lining up and timing perfect headshots, and using battery-powered thermal goggles to spot enemies hiding behind cover or obscured by smoke. Sure, you can still blow your cover and end up fighting for your life, but a skilled sniper will now be able to proceed deliberately from target to target, dishing out long-range shots and close-quarters stealthy kills without alerting the rest of the enemies on the map. Based on what I saw, it seems like City Interactive is really keyed in on the attributes that make the idea of a sniper-focused game appealing in the first place. 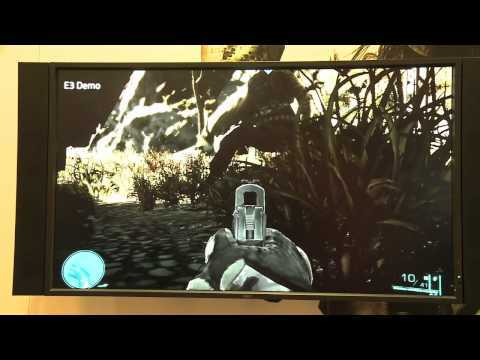 An innovative first in which the way the player touches the controller influences the on-screen shot. Like in real-world sniping, in-game shooting requires a steady squeeze so that when the round is fired, it actually surprises the shooter. Jerk the trigger and the round is thrown off, thus missing the target and alerting a highly motivated enemy to your presence. Everyone’s favorite feature returns to reward expert shots and show the battlefield from a totally new viewpoint. See what the transfer of kinetic energy – a bullet’s true stopping power – can do to the enemy from 1,000 yards or more! The bulletcam will reward players for particularly good shots and show the battlefield from an entirely new perspective. 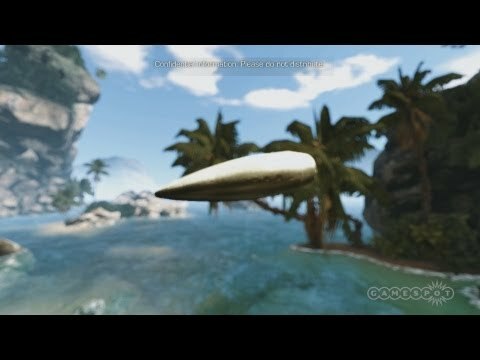 Only in Sniper Ghost Warrior 2 are the players allowed to see in such detail the fast moving projectile, when it reaches its target. Breathing causes movement. Hold it, zero in and feel time creep by and your scope stabilize. 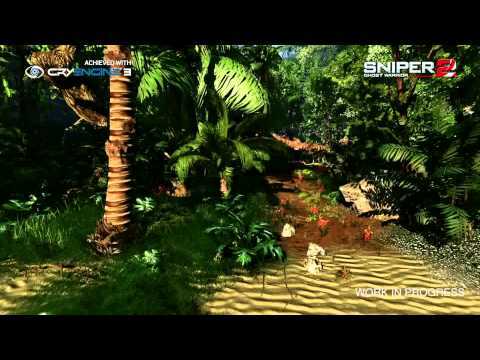 This feature is designed to simulate a skill that sniper’s employ on every shot. The availability of this system varies on different difficulty levels. A bullet needs time to get from point a to point b. Players need to calculate their distance and bullet travel time when planning a perfect shot, especially on moving targets. It doesn’t get any more real than this. More precise than ever before, the in-game ballistics system allows players to reach new gaming heights and discharge in-game weapons with stunning accuracy. Crucial variables, including wind speed and distance, will undoubtedly affect your bullet and need to be accounted for when taking aim and firing at enemy targets. 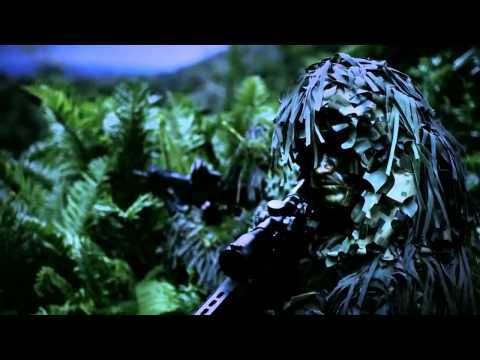 Snipers are not always able to spot their enemies, especially if they are located inside buildings or hidden behind various installations. With advanced thermal vision, players are able to spot the opponents and plan their moves. The game also features night missions. The night vision goggles allow for spotting enemies in low light conditions, when it is simply impossible to see them with the naked eye. Long range, rough terrain, whatever the conditions, binoculars are an essential tool for the sniper through the entire game. The player cannot properly evaluate battlefield conditions without them. Sniper Ghost Warrior 2 adds new urban environments like Sarajevo and treacherous mountain terrain to go along with jungles that are as lush and deadly as ever. Each level brings its own challenges – from constructing the correct hide to properly stalking through the environment – and only the best will be able to move unnoticed by the enemy. Concealment doesn’t necessarily mean cover. 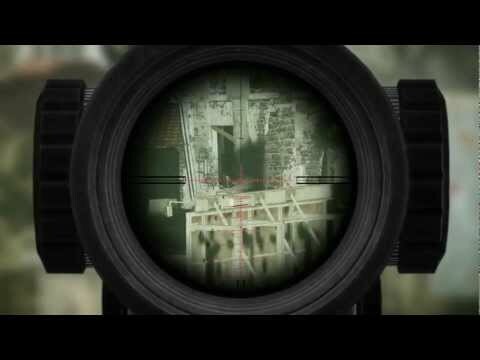 In Sniper: Ghost Warrior 2, bullets behave as they would in real life and a high velocity .50 cal. round is capable of going straight through a concrete wall to kill the enemy hiding behind it. Better yet, line up your enemies and let a single round take out an entire squad. Wait ‘til you see that on Bullet Cam! 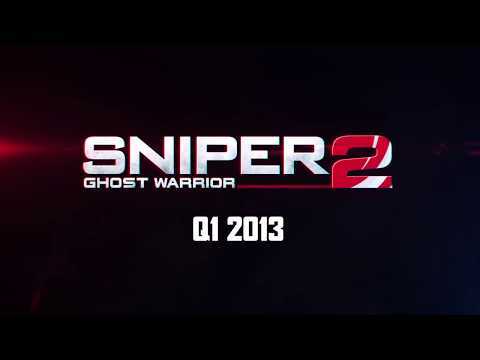 Sniper: Ghost Warrior 2 © 2013 City Interactive S.A., all rights reserved. Published and developed by City Interactive S.A. is a trademark of City Interactive S.A. Portions of this software are included under license © 2004-2013 Crytek GmbH. 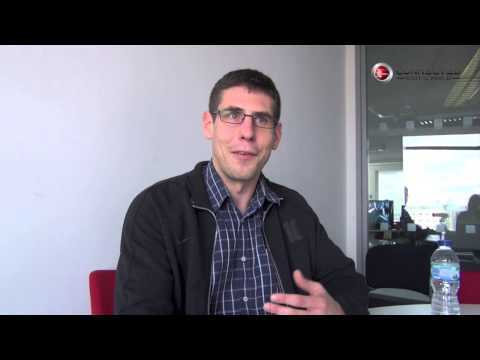 This software product includes Autodesk® Scaleform® software, © 2013 Autodesk, Inc. All rights reserved. ©2013 Valve Corporation. Steamworks and the Steamworks logo are trademarks and/or registered trademarks of Valve Corporation in the U.S. and/or other countries. The NVIDIA logo and the “The Way It’s Meant To Be Played” logo are registered trademarks, of NVIDIA Corporation. Copyright © 1997-2012 NVIDIA Corporation. All rights reserved. NVIDIA Corporation, 2701 San Tomas Expressway Santa Clara, CA 95050, USA. “PlayStation” and the “PS” Family logo are registered trademarks and “PS3” and the PlayStation Network logo are trademarks of Sony Computer Entertainment Inc. “Blu-ray Disc” and “BD” are trademarks. Microsoft, Xbox, Xbox 360, Xbox LIVE, and the Xbox logos are trademarks of the Microsoft group of companies and are used under license from Microsoft. CI GAMES is a brand of City Interactive S.A. The depiction of any weapon or vehicle in this game does not indicate any affiliation, sponsorship, or endorsement by any weapon or vehicle manufacturer.